Good feng shui in your garden will bring good feng shui energy into your home, it's that simple. A beautiful garden will delight your senses and refresh your energy. 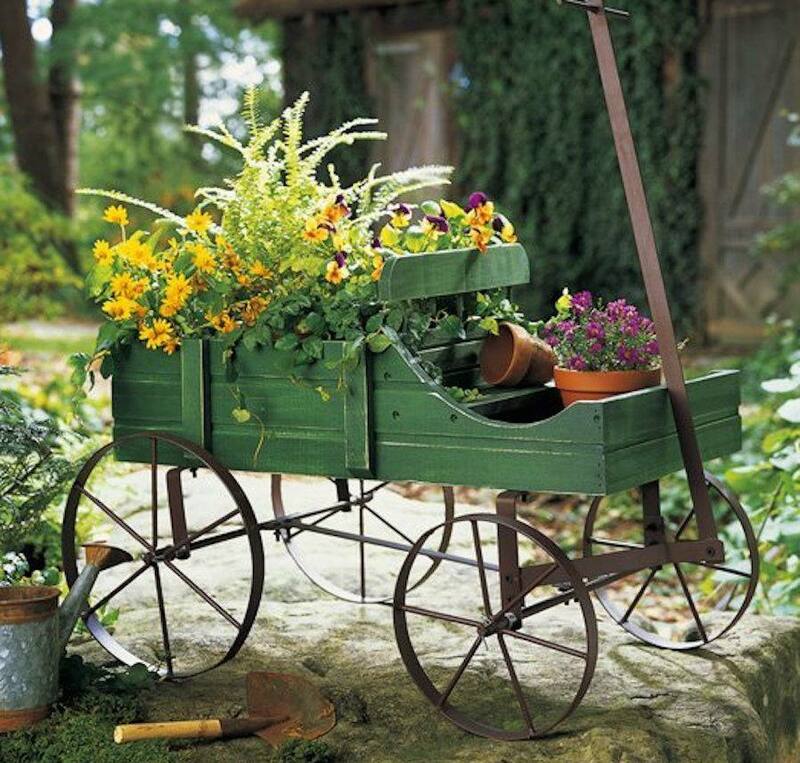 If you have any outdoor space to create a garden, no matter how small, you are lucky! Make the best of it by using good feng shui garden and outdoor products. You will notice that our products bring all five feng shui elements into your garden in a beautiful and harmonious way; you just have to define which element is most needed in your garden. Explore our top 10 outdoor feng shui products and get ready to bring joy and good feng shui into your garden! If you have a corner area in your garden that needs an energy boost, what better feng shui solution than outdoor wall art? Facing a plain wall can be depressing; facing a wall that carries beautiful energy is highly uplifting! As with any garden decor products, take into consideration the five elements requirements before choosing wall art. For example, you will not want art with fire energy in the West bagua area of your garden. Fountains, as the vital feng shui water element, are number one on good feng shui garden products list. You can go for any fountain design, material or shape that works best for your garden (and your budget!). Consider the feng shui elements interplay when choosing the best garden spot for the fountain. Feng shui wind chimes are loved by all garden enthusiasts! Alive in the slightest breeze, wind chimes express the essence of feng shui -- wind and water -- so it is wonderful to place them close to your garden water feature. Look for the chimes with the most harmonious sound as well as design. Be sure your wind chime is made from quality materials and has the durability to do well in any weather. Do not place a big metal chime in the East area of your garden. Go for solar garden lighting, it is wise feng shui! You can find garden lights in all possible designs -- from turtles to flowers -- just be sure you know what symbols are best in specific bagua areas of your garden. Beautiful garden lights will bring a gentle feng shui fire element into your garden, as well as a truly magical feel. Be sure to surround your garden with lights; do not leave any garden areas unbalanced/without light. Good feng shui in the garden means a dynamic harmony of sounds, colors, images, and movements. And what better way to bring good feng shui energy than with beautiful garden sculptures? Angels, faeries, children, birds, horses, etc -- the choice of good feng shui garden statues is vast. It is up to you to define which symbol will bring most joy into your garden. We certainly consider a serene Buddha sculpture a must for a good feng shui garden! In feng shui, birds are considered the good messengers from heaven, as well as the symbol of inspiration and freedom. A garden without the joyful songs of birds is not a complete feng shui garden. Birds bring great energy -- Sheng Chi -- be sure your garden is welcoming and nourishing for these precious friends! A gentle flow of energy is a must for a good feng shui garden. Step stones add a new dimension to the meandering flow in the garden by emphasizing that life is a series of stepping stones. It is a reminder of the one day, one step at a time healing philosophy that is about conscious attention to each step. Create this feng shui flow of energy by choosing from a variety of stepping stone designs to let your garden enjoy this healing energy. Having a place to rest in your garden is excellent feng shui. It helps you absorb silence and deeply nourishing energy, as well as do nothing but be! Depending on the size and design of your garden, you can go for seating made of different materials and styles, just be sure to take into consideration the five elements requirements for each bagua area of your garden. Feng shui fire element is often missing in many outdoor spaces, other than in summer months when bright and fiery colors bring this illuminating energy. If the size and design of your garden allows for one, having a fire pit is excellent feng shui. You have to be mindful of the feng shui elements interaction to place your fire pit in the best location, as well as, of course, the safety requirements. Fire is purifying, inspiring and empowering; it is a gift to be able to often sit around the open fire. Also called gazing balls, mirror balls or witches balls, they come in a variety of materials, from non-reflective clay to highly reflective mirror-like surfaces. The round shape of the garden ball brings the feng shui energy of completion, while the surface color and texture bring additional elements for each bagua area of your garden. Feng shui-wise, mirror balls are considered good protection cures as they bounce the negative energy right back where it came from.